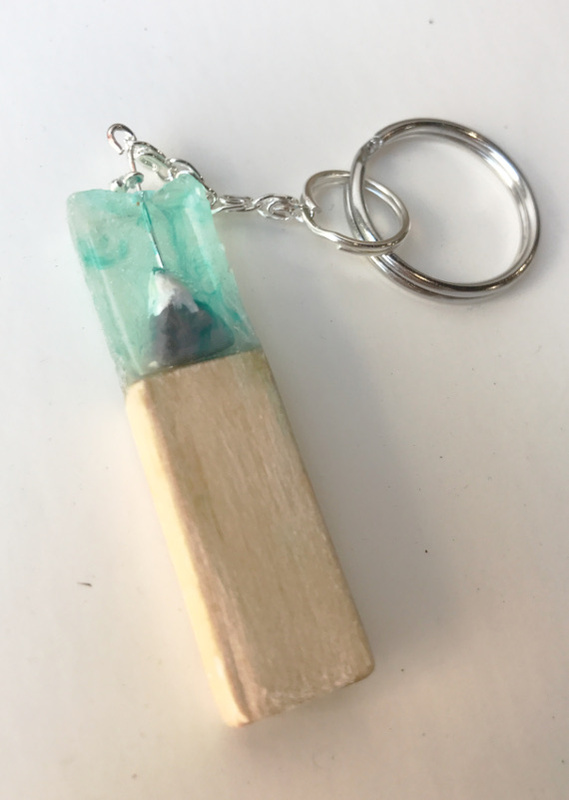 This little trinket kind of reminds me of a trip to Alaska I took in the winter. Everything was bright white and so natural. 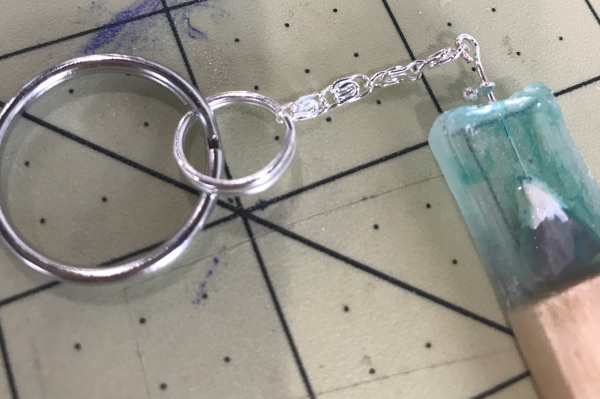 I added mine to a keychain, but a jump ring and a necklace chain will easily turn this into a statement-making jewelry piece. Cut a 2 inch piece of wood. Sand the cut end smooth. 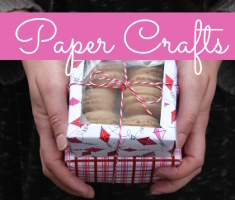 Make your mold out of the piece of wood. 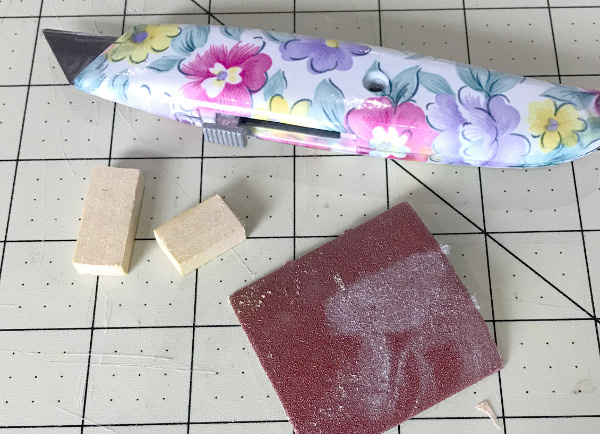 Follow directions on your mold making kit. 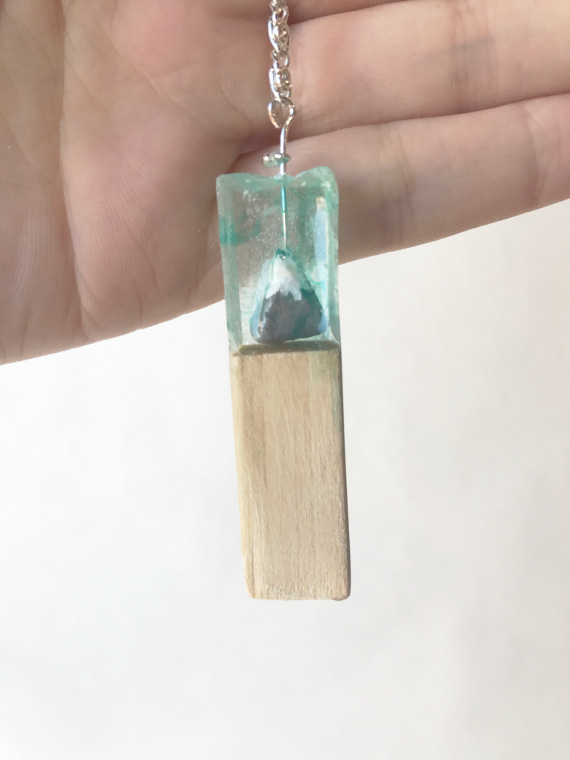 I discovered that my mold making kit that I had saved for the perfect craft had hardened before I could use it, but I was determined to make this pendant, so I improvised. 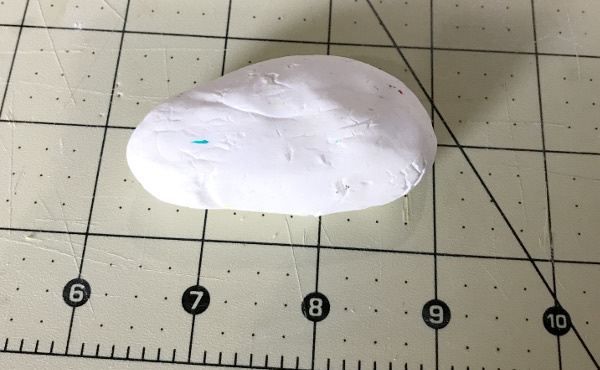 I rolled out a lump of polymer clay roughly the size of my wood piece. Make sure you use white or tan clay. Colored clay will dye the wood. Press the wood into the clay lump and press it around all edges. 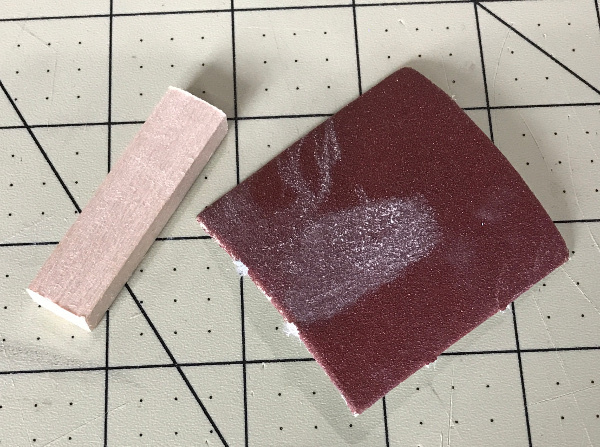 Gently remove the wood piece from your clay or mold. Measure about two-thirds down from the short edge of your wood piece and cut it off. Sand the edge smooth. 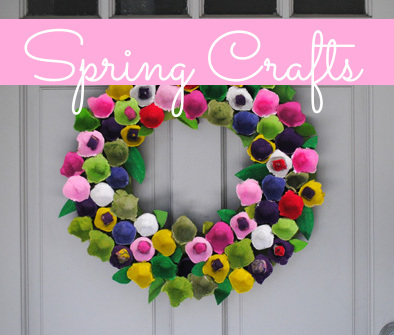 Take your air dry clay and shape a triangle a little shorter and flatter than your wood piece. Stick an eye pin through the center. 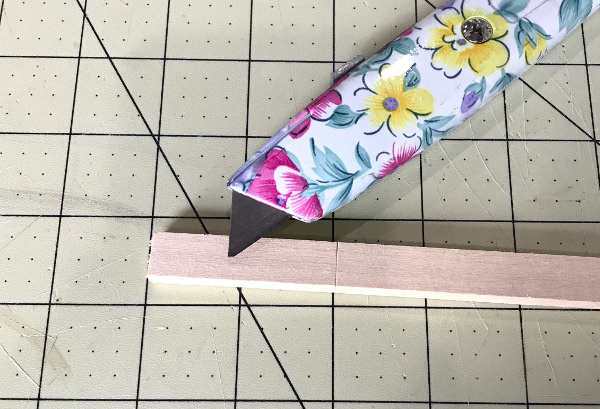 Make sure that your stack of items, the longer piece of wood, then the mountain, then the top of the eye pin measures just over 2 inches. 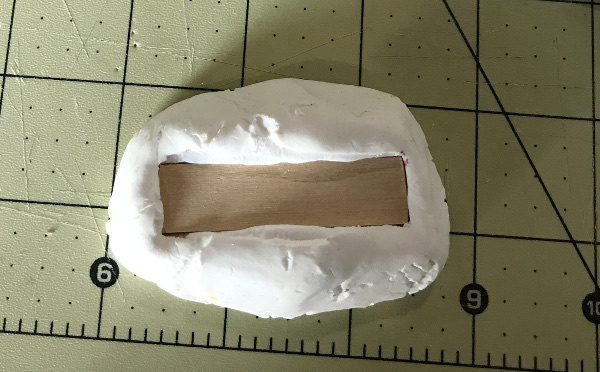 Press the eye pin into the appropriate part of your mold, so that it’s sticking out the edge a little, or is encased inside the whole thing. Clip the eye pin where your mountain will meet the wood. 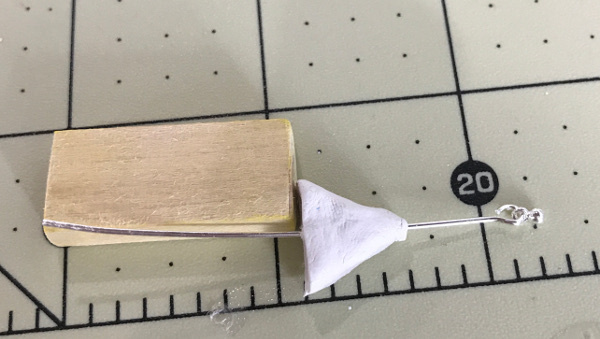 If needed, use your needle nose pliers to create a small bend to keep the clay in place. Paint your mountain and let dry. 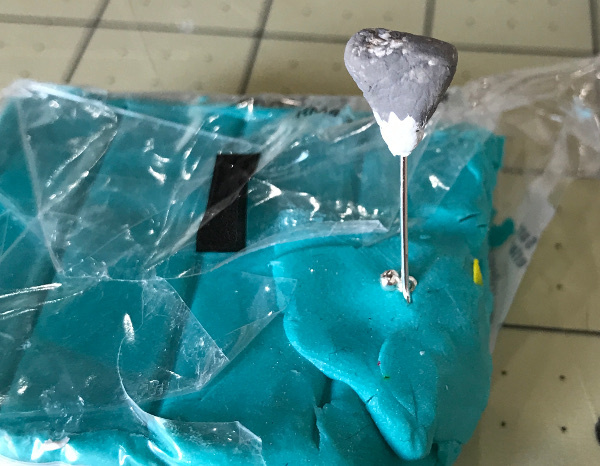 I stuck my pin in some extra clay so that it wouldn’t have to touch anything as it dries. Place the longer wood piece inside the mold and press it up against one edge. Prepare your resin according to package instructions. 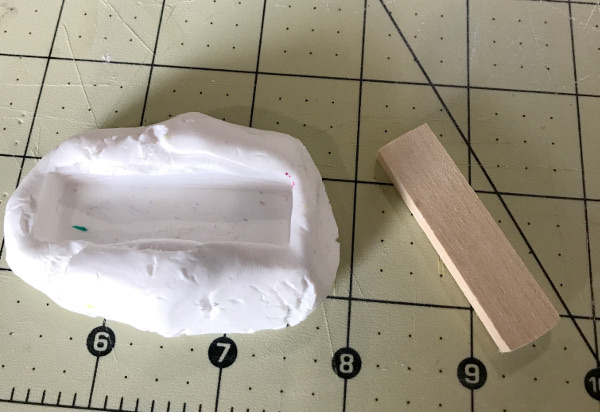 Use your stirring stick to drop a little bit of resin into the empty side of the mold. 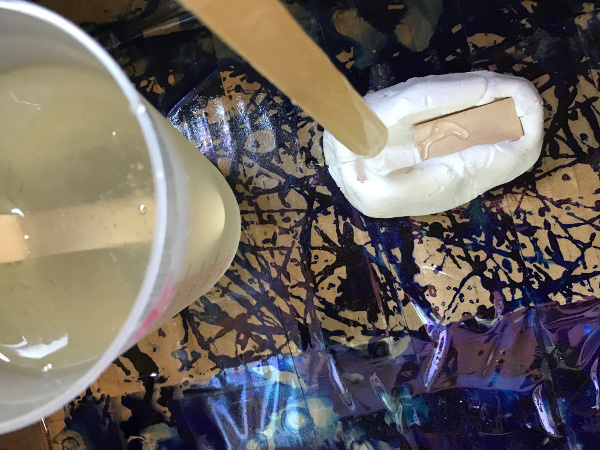 If you accidentally get some resin on the wood, wipe it off with a paper towel before it dries. Gently lower your mountain into the mold. 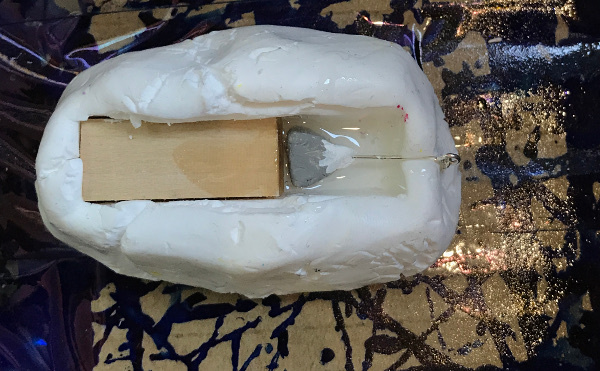 Make sure that it’s far enough into the mold that it will be entirely cased in resin. Cover the top of the mountain with more resin. If you’d like a little bit of color, add a drop of alcohol ink into the wet resin. 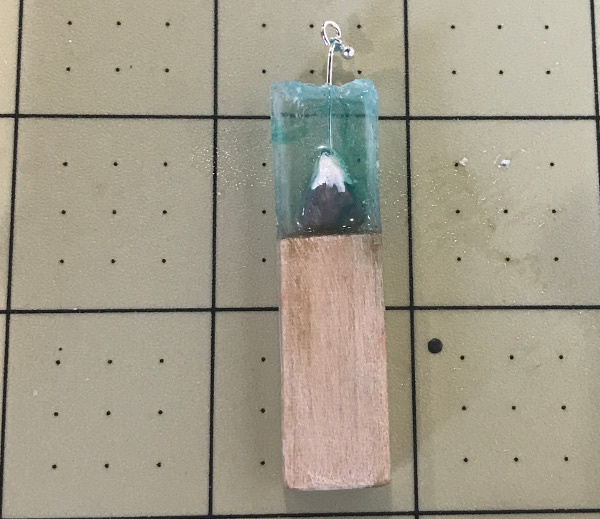 It won’t take much, and I wanted it to swirl on its own, so I left it completely alone until the resin was dry. Let it cure according to package instructions. 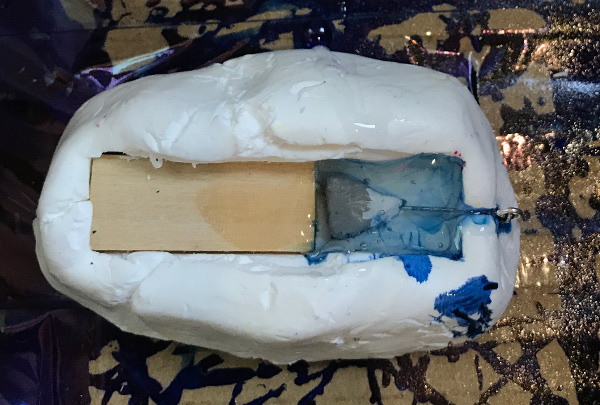 Once it’s cured, remove the pendant from the mold. 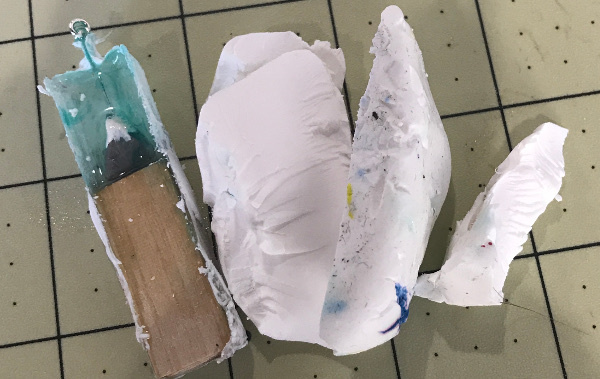 As you can see, I broke apart the clay as best I could, but the resin and the clay did mold together wherever they touched. Getting it wet helped remove some, but the most effective removal technique I found was to just use my craft knife to gently scrape off layers of resin. Sand any pieces that need to be sanded. 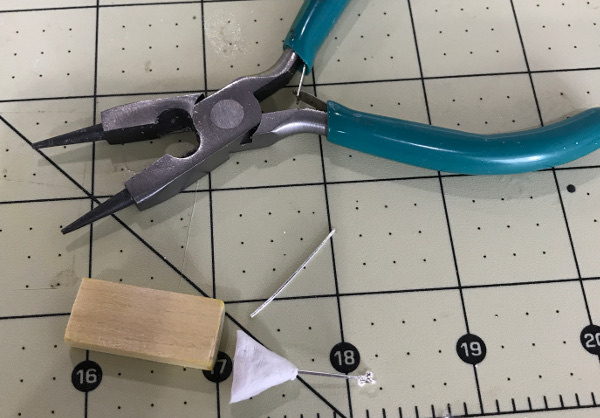 Remove excess resin that may have pooled around your eyepin with your pliers. 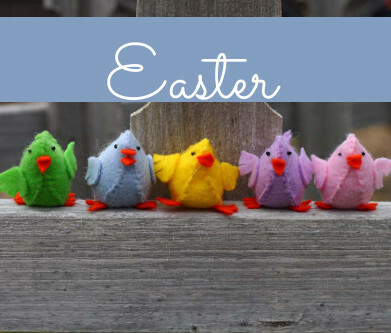 If you’d like some extra protection on your wood, use a spray sealer or Mod Podge now. 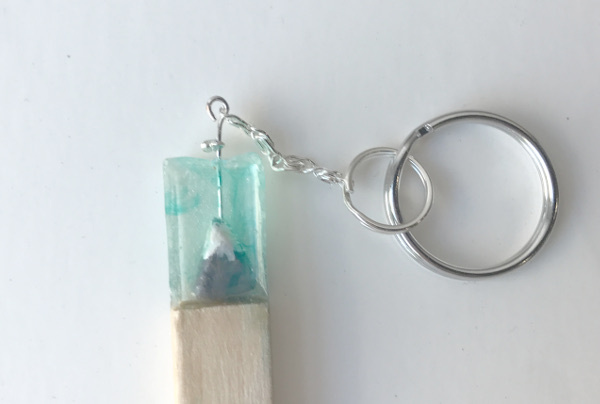 Attach your chain and findings to the eye pin and you’re all set! What else could you encase in resin like this?